Purchase this product now and earn 4,500 Reward Points! 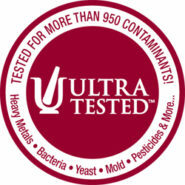 Provides powerful antioxidant activity and immune system support. Hypoallergenic. Gluten and casein free. Capsules are plant based. Ultra Tested®. Everyone knows that eating broccoli is healthy for you but recently scientists have uncovered even more health benefits of broccoli. This vegetable is loaded with essential nutrients, and therapeutic properties. Broccoli’s nutritional profile is impressive, as it contains high levels of fiber and is also a rich source of vitamin C and hundreds of disease-fighting phytonutrients. 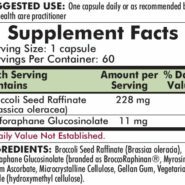 Researchers have isolated a key component of broccoli called sulforaphane, which may have preventative and protective properties for human health. Broccoli is part of the plant family known as cruciferous vegetables. The vegetables of this plant family have been studied extensively as to their health promoting benefits. When broccoli is consumed in the diet, the plant cells are ruptured by chewing and digestive action, and two sacs of different broccoli containing substances are released and mixed together. One is glucoraphanin, the precursor to sulforaphane and the other is a body flora produced enzyme called myrosinase. Only when these compounds are mixed together from the ruptured cells, is sulforaphane actually produced. Sulforaphane acts in the body as an anti-oxidant, detoxifier, immune supporter, enzyme activator and may have many other life supporting benefits. Prepared extracts of broccoli sprouts or broccoli seeds, however, typically lose their benefits but those benefits are preserved in Kirkman’s new broccoli nutritional supplement. 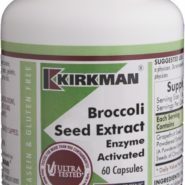 Kirkman’s Broccoli Seed Extract – Enzyme Activated is unique in that it contains the added broccoli enzyme myrosinase which is patented by CS Health LLC of Louisville, KY, a division of Caudill Seed Company. The addition of this enzyme boosts the body’s conversion of glucoraphanin to sulforaphane. FREE OF: Sucrose, starch, soy, wheat, casein, gluten, milk, corn, egg, preservatives, yeast, flavorings, peanuts, tree nuts, fish and shellfish. 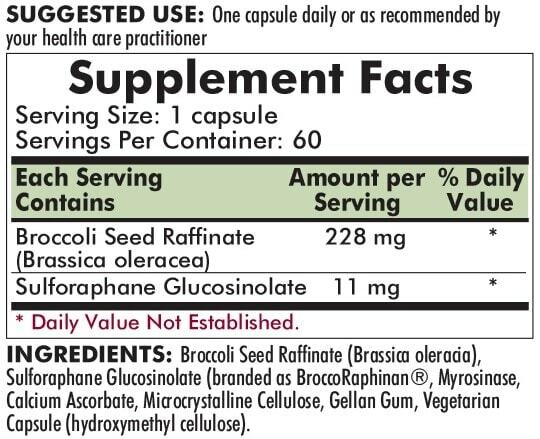 INGREDIENTS: Broccoli Seed Raffinate (Brassica oleracia), Sulforaphane Glucosinolate (branded as BroccoRaphinan®, Myrosinase, Calcium Ascorbate, Microcrystalline Cellulose, Gellan Gum, Vegetarian Capsule (hydroxymethyl cellulose). 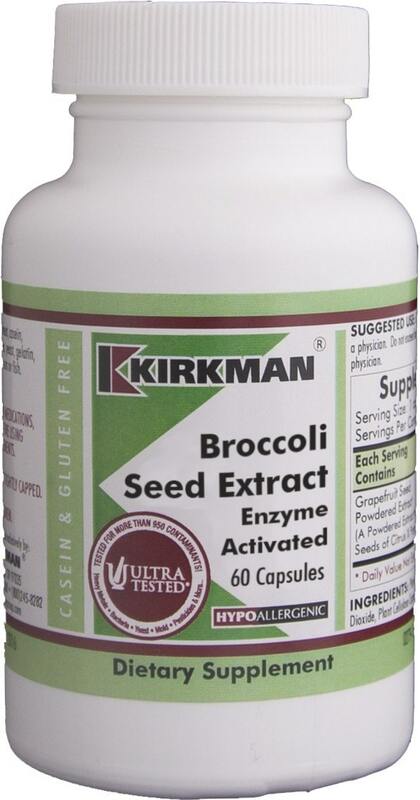 Enzyme Activated Broccoli Seed converts to Sulforaphane in the body. Sulforaphane is a powerful anti-oxidant, Immune supporter, and detoxifier.